New windows can make any home more attractive and comfortable. Replacement windows come in a variety of styles and with more options than ever. Choose from lovely wood, economical vinyl, and strong metal frames. Modern windows are also much more energy efficient than in years past. Replacing your windows can lower your monthly heating and cooling bills. Depending on where you live and the types of windows that you install on your property, you could even be eligible for an energy-saving tax credit. 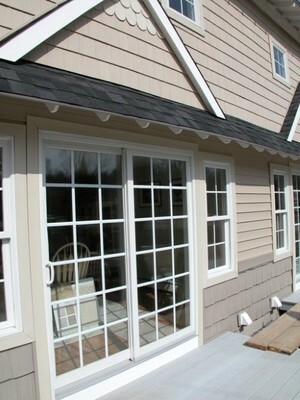 LYF Construction has been installing new and replacement windows on homes and commercial buildings for 16 years. When you want to embark on a home improvement project that will bring years of enjoyment and satisfaction, give us a call at (832) 304-6764 to learn more about our window installation services. Bringing fabulous outside views indoors can make your small living room, kitchen, or dining room look larger. While you could stick with traditional double-hung windows in these areas, installing a large picture window brings in more natural light. Today’s picture windows are enhanced by arched, octagon, or circular crowns. Bay and bow windows, which include sections that are fixed and those that open, create attractive focal points for special rooms in your home. If you’re like many property owners, you dislike cleaning windows. The task is tedious and can be dangerous if you live in a multi-story dwelling. While you may want to call in professional window cleaners to give your windows the shine that they deserve on special occasions, tilt-in windows allow you to regularly clean your windows without risking life and limb on a step ladder. Vinyl, double-hung windows that tilt-in are some of the most popular styles that are installed in today’s homes, and we’ve been installing them since 2003. When you need economical, low-maintenance windows for your property, contact LYF Construction at (832) 304-6764 for a free quote.